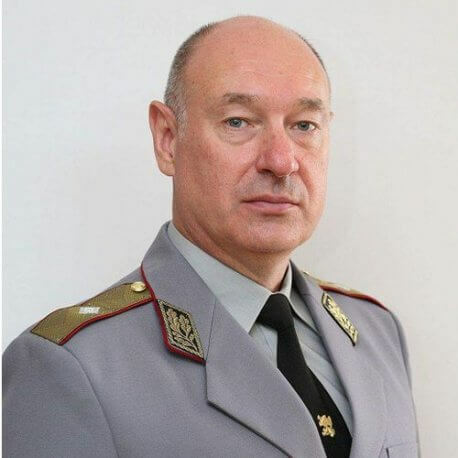 Brigadier General Vasil Sabinski began his military career in the General Staff Signal Brigade of the Bulgarian Armed Forces in 1988 after completion of a master’s degree in Telecommunications from the “Vasil Levski” National Military University. He subsequently commanded at company and battalion level within the Signal Brigade as well as undertaking positions teaching communication and information systems (CIS) in the National Military University and as the Chief of Unit of the Bulgarian Armed Forces Strategic CIS Command. Selected for the General Staff Course at the “G.S.Rakovski” Defense and Staff College, he was promoted to Colonel on completion of the course in 2006 and appointed as the Deputy Commander of the Signal Brigade. In 2007 he moved to the Ministry of Defence, initially to be a Government expert on NATO and EU integration and interoperability and then as the Chief of the Capability Management Branch. In 2010, he was selected to be the Branch Chief for CIS Policy and Requirements within the EU Military Staff in Brussels, a position he held for 4 years before going back to Bulgaria to become the Commander of the Stationary CIS of the Bulgarian Ministry of Defense and Armed Forces. Promoted to General rank in August 2017, he returned to the EU Military Staff to assume the position of Director CIS with responsibility for developing policies and guidance for CIS and cyber defence in support of Common Security and Defence Policy operations and missions.